Roundabout Quilters: Our Group Quilt is Finished. This is our group quilt all ready for our show in June. 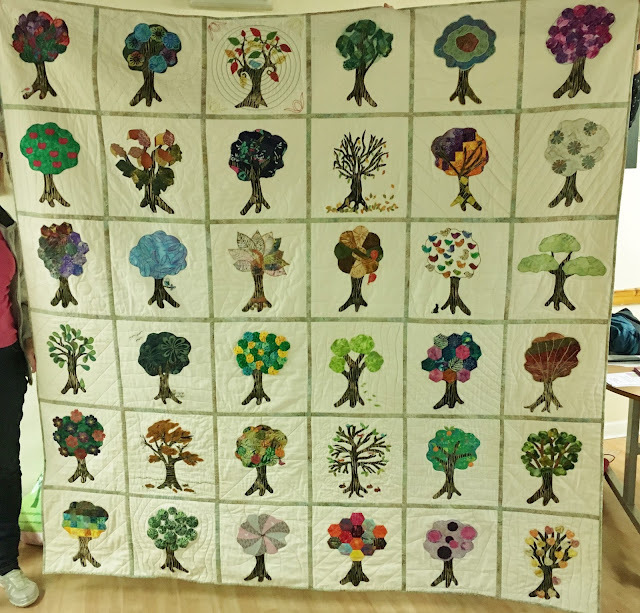 Thirty-eight members of Roundabout Quilters did a block each and this is the finished product. Isn't it wonderful? Every one was given a basic outline, the backing, the fabric for the front and a piece of brown batik for the trunk and everybody was left to interpret their design as they wanted. We used the quilt-as-you-go method so all we had to do was put the finished blocks together and hey presto a finished quilt! 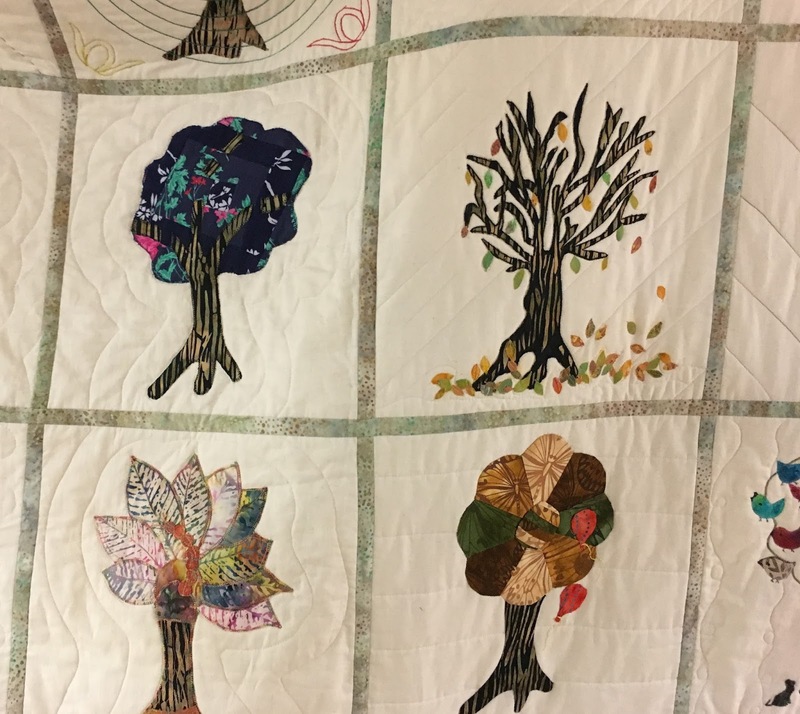 You can win this quilt by coming to our show and buying a raffle ticket. This is the star prize. These pictures are to show some of the details.